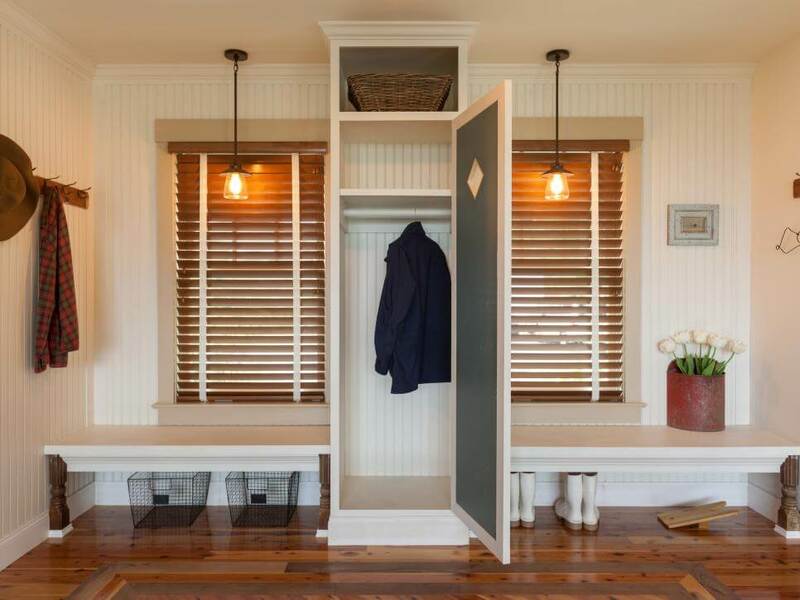 Especially in a large mudroom, adding cabinets can give you a lot of storage options, as well as help define and beautify the space. Cabinets allow you to easily make the space uncluttered and access things without having to move a lot of stuff around and then put it all back once you’re done. Wooden cabinets also provide a warmth to the room when coming in from the snow outside. Especially in Michigan! .